These adorable flats are perfect for back-to-school. A comfy, versatile pair of ballet flats is a must for back to school season. Not only are flats a great choice for transitional summer-to-fall weather, but they’re easy and comfortable to slip on for busy mornings. This pair of scalloped ballet flats from Kohl’s checks all the boxes–simple, versatile, and with a unique scalloped detail that makes them extra cute. 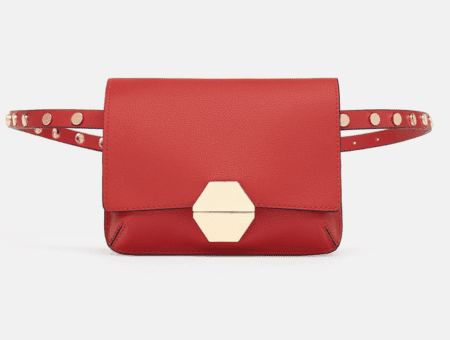 Plus, they’re on sale for under $30, and they come in a range of fall-friendly hues. 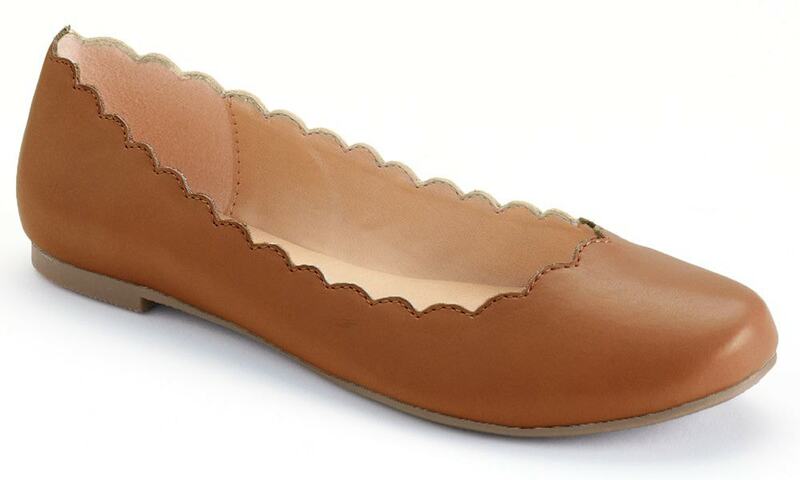 Wear these flats to work, school, or just the grocery store–they’re endlessly versatile! 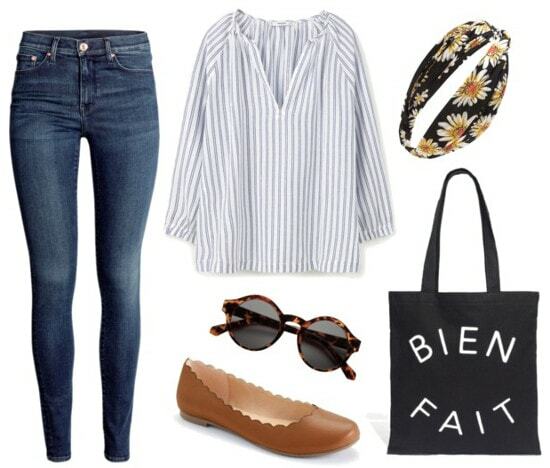 This casual-cute look is perfect for back to school. Start with your favorite jeans and a breezy striped blouse, then slip on these comfy scalloped flats. To keep your morning routine simple, throw your hair up in a topknot and add this printed headwrap for extra style points. Lastly, grab a pair of cute sunglasses and a roomy canvas tote before you head to class. This sweet, summery look is perfect for hot weather. 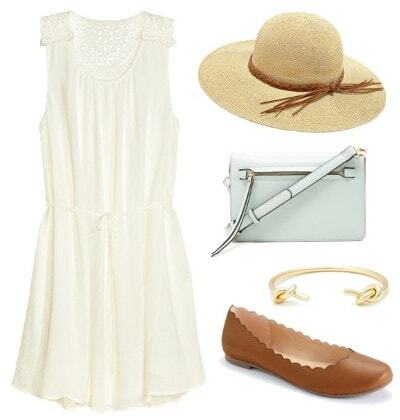 Pair the flats with this breezy, crochet-back dress, and throw on a wide-brim hat to protect your face from the sun. For a polished vibe, accessorize with a pale blue crossbody and a gold bracelet. Switch up your workwear with this fun yet polished outfit. 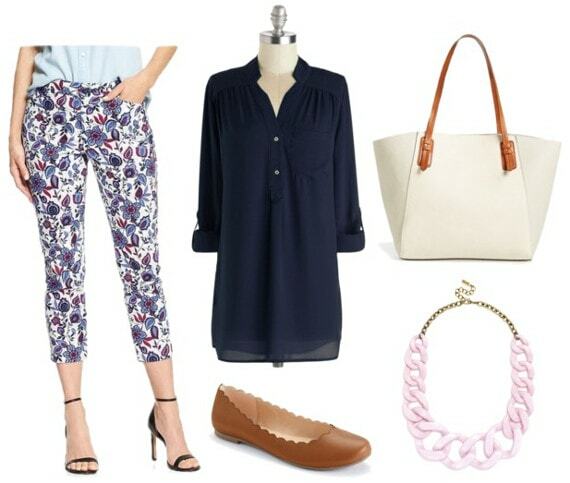 Take a break from the basics by pairing these flats with floral-print pants and a navy blouse. For added visual interest, slip on a chunky statement necklace, and don’t forget a sleek tote to carry your essentials. 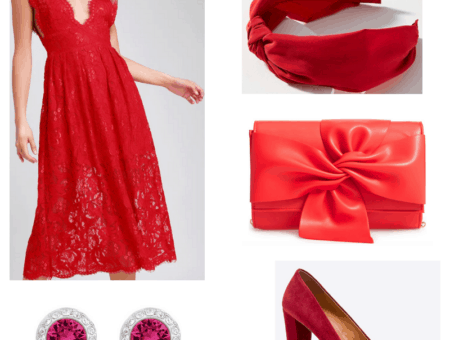 What do you think of these flats? What’s on your list for back-to-school shopping? Let us know in the comments!